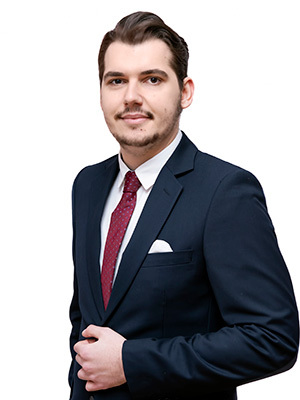 Flavius Dinculescu graduated the Faculty of Law –University of Bucharest and he is member of the Bucharest Bar since 2018. In his years of study, he has shown strong interest in civil law, civil procedure and intellectual property. As an undergraduate, he reached the final of a civil law moot court competition.